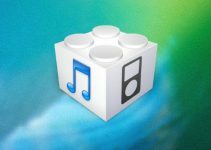 iOS 11.1.2 is already unsigned and a lot of users are still stuck on lower versions of iOS 11. 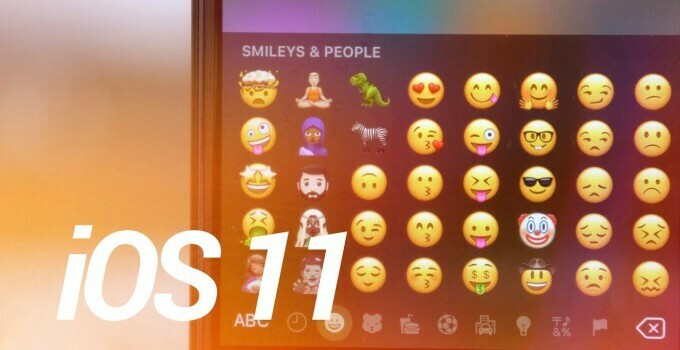 Here’s how you can update from iOS 11.0.1-11.1 to iOS 11.1.2 with SHSH Blobs. Why should you upgrade to iOS 11.1.2? iOS 11 is the most bug-ridden major operating system update by Apple till date. 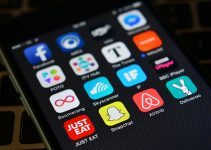 Consequently, the earlier versions such as iOS 11.0.1 and 11.1 are very unstable and aren’t worth using on your daily driver. Therefore, I recommend everyone to move to iOS 11.1.2 or 11.1.1, at least. Doing so will ensure you will be the first to receive the complete jailbreak. Apart from that, your device will also be more stable and snappier. For those who are already on this version, you can clean restore to iOS 11.1.2 if you are experiencing errors or glitches. Here’s the complete restore tutorial for going from iOS 11.0.x to 11.1.2 or performing a clean restore on the same version. Remember, iPhone 8/8 plus, and iPhone X are not supported and untested as of yet. Download FutureRestore for macOS, Linux, and Windows. Extract it to any location on your computer. Download iOS 11.1.2 IPSW firmware file for your device from ipsw.me. Ensure you have SHSH Blob file for your target firmware available on your local storage. Step 1 Connect your device to the computer. Sideload and install the NonceSet1112 app on your iPhone, iPad, or iPod touch. Step 2 Open your SHSH2 file with Notepad++ and search for “<string>”. Copy this hexadecimal string as shown below. Step 3 Open the NonceSet1112 app and manually set this string as your nonce. Step 4 Once it confirms that you the nonce is set, you can move onto the next phase. Drag the futurerestore_macos into the terminal window. Wait for the restore process to get over. Open a command prompt window in future restore’s directory (Right click on address bar > Edit address > type “cmd”). Drag the futurerestore executable file over to downloaded. Wait for it to restore your device. I want to upgrade it to a JB ver higher than 10.1.1 which I have right now. Unfortunately, you can’t upgrade to iOS 11 now. However, you can go to iOS 12 and wait for a jailbreak. My iphone 6s had now iOS 10.33. Must i use the jailbreak now for the 10.33 ? Or must i first upgrade to iOS 11.12 and than jailbreak ? Yes, you can use doublh3lix jailbreak for iOS 10.3.3. If you want to update, I would recommend doing so provided you have your SHSH Blobs saved up. can i rerestore or downgrade to ios11.1.2 using ios 11.2.6 SEP with SHSH2 blobs saved for ios 11.1.2?? i just knew that i have 11.2.5 blobs only….. is there ANY WAY i can get to 11.2.5 or ANY lower version? Yes, you can but only from iOS 11-11.1.2 provided you set your nonce beforehand. 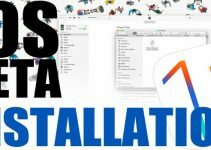 hi im in 11.1.2 how to i resrore to 11.1.2 can some want help i have my shsh where do i get the compatible sep? Just use the the latest sep command below and you will be good to go. You aren’t setting the nonce generator correctly. Also, did you save the right blobs? You only need a signed SEP/baseband that’s it. Use the latest sep command. Which firmware’s baseband did you use? I was on 10.2 and stupidly installed a cydia tweak that did not agree with my phone. It sent my phone not into a boot loop but gets stuck with the apple logo and when plugged into the computer has a steady beep every 3 seconds. I’m unable to boot the phone no matter what I do, up button doesn’t work and down button doeasn’t work. No program I could find works as well. The only solution is to update to 11.2.1. Sad day in history for me. My question is I have my shsh2 blobs for 11.1.2. Once I update is there a way I can downgrade from 11.2.1 to 11.1.2 with any method? I would hate to lose my jailbreak opportunities because of stupid cydia tweak. Or is there hope that soon there will be a tool to downgrade. I just have seen upgrades but no downgrades with blobs. Thanks for all the tutorials and help so far. You can’t downgrade to any version if you are on iOS 11.2.1. This may change in the future but not now. Thanks for the quick reply, here’s hoping that they come out with a downgrade tool soon. You would think there has to be a way if you can upgrade with blobs. But I’m not a developer so I can’t say for sure. Yes, you can upgrade with SHSH blobs to iOS 11.1.2. I don’t delete anything. All comments must be approved first before they go live. hi im in 9.0.2 how to i update to 11.1.2 can some want help i have my shsh where do i get the compatible sep? Hello to me (9.3.3 jailbreak) how to upgrade to 10.2? You can’t update to iOS 10.2 anymore. There’s no signed firmware for your device with a compatible SEP.